This high voltage training progrmme is designed to give the experience needed to become a Senior Authorised Person who will be responsible for performing safe switching of high voltage power systems. Taking place at our Stockton-on-Tees training centre in Teesside, our high voltage tutors will improve your understanding og high voltage power systems, including the theory behind statutory regulations and safe operation, as well as giving you practical, hands-on experience of using high voltage equipment. 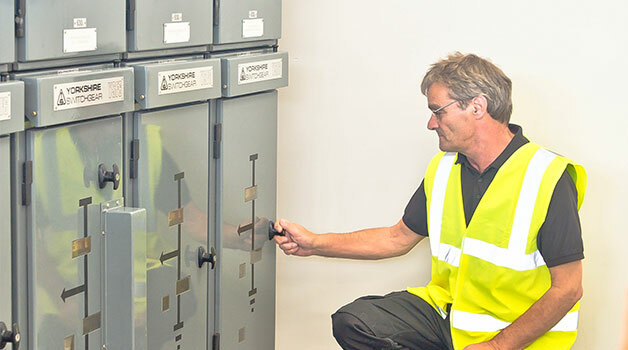 After taking the Stockton Safe Switching Operation of HV Power Systems programme, you’ll be qualified to be responsible – as a senior authorised person – for both performing switching and for issuing safety documents (for example high voltage electrical permits to work). Prior electrical experience is required for this programme. You should be responsible, or are going to be responsible, as a senior figure, for performing switching or for issuing safety documents relating to work in HV substations, switchrooms and other high voltage areas. Anyone attending this programme must also have a good level of both spoken and written English. Not sure if you’re qualified for this programme, or looking for advice on which programme is right for you? Give our training team a call directly or email training@pass.co.uk for further help. Gain the training you need to become a Senior Authorised Person responsible for safe switching of HV Power Systems. Situated in Stockton-On-Tees, ideal for those in Teesside, Durham, Newcastle and those in the rest of the North East.